Being a marketing director is like being a fund manager. You have your marketing budget, something you strive to increase year-on-year, in the same way that a fund manager has funds under management, which they also look to increase. The challenge for both is where to allocate this money in order to maximise returns. The fund manager has their asset categories and within these decisions about individual stocks or products. A marketing director has a range of media assets or channels and then a decision about what type of campaign or message to put within each. The problem that marketing directors face is that the yield available on these assets has been relentlessly declining year-on-year. There is no safe stock, such as gold, or a way to play against the market. Instead, they desparately need to find a new asset category, partly as a way of improving the ROI on conventional assets by reducing demand and thus forcing the price down, but also in search of higher yields. In this environment social media can seem, superficially at least, very attractive. Here is a whole new space to spend your money in – and there are no shortage a players looking to take it from you: digital agencies who will build you community platforms, social media agencies who will create social media campaigns, or Facebook itself who will accept big fat cheques for helping you “integrate your brand into consumers’ life stories”. However, the yield problem remains. In-so-far as we have been able to work out the yield on financial investment in social media (and that isn’t very far), it isn’t proving to be startling better than that available in the old media assets. The reason for this is the unfortunate fact that the only bits of social media that are worthwhile are not available for sale. You can’t buy social media, you can only participate within it. 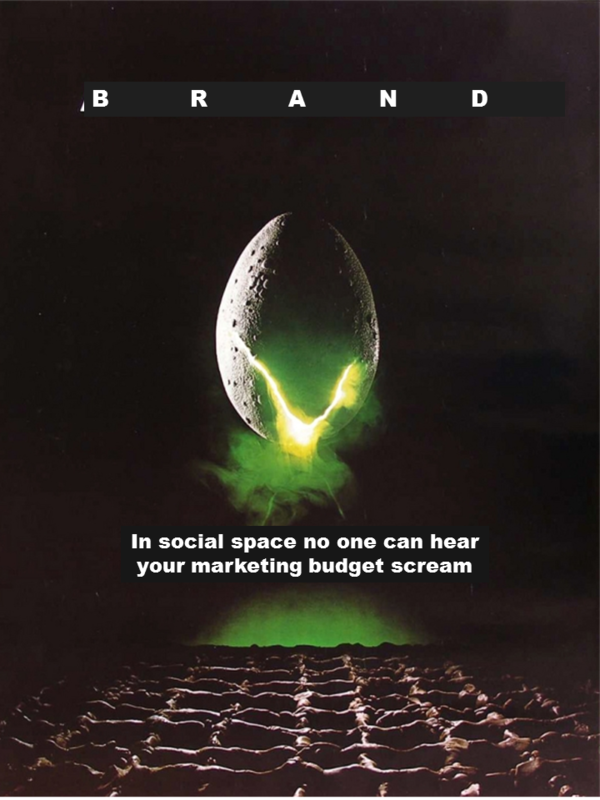 To paraphrase the slogan of a famous sci-fi thriller “In social space, no-one can hear your marketing budget scream”. 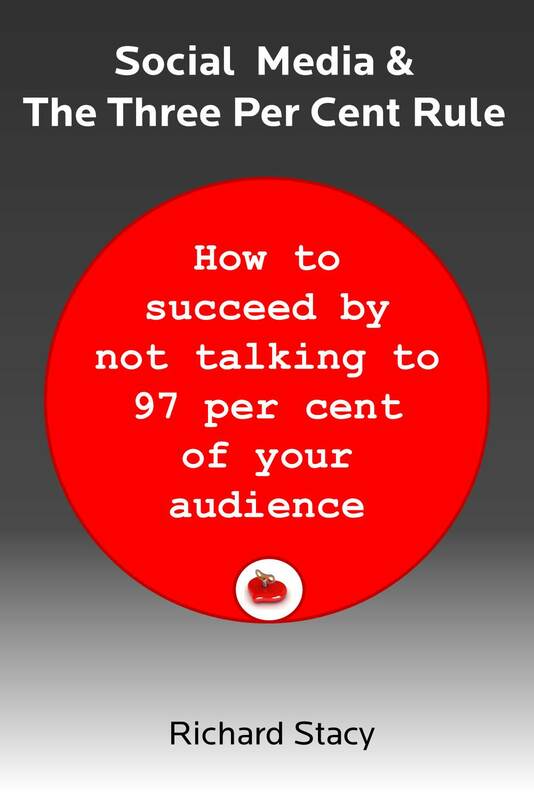 The asset you need to participate in social media is people – and people are seen as a toxic asset in most businesse these days: a guarantied way to get fired is to increase headcount and a guarantied way to get promoted is to “take costs out of the business” or any of the other various euphemisms for making people redundant. Until businesses create permission to invest in the asset that is people, the social media space is never going to yield a productive return.